InterTrader provides an award-winning suite of online products and tools to trade in the financial markets. InterTrader covers spread betting, Contracts for Difference (CFDs), stock indices and Forex. The company is based in the UK, targeting UK traders, as well as other markets. Spread betting on financial markets is highly competitive in the UK, with a number of large, well established firms. In addition, tight regulation limits the flexibility of ad creatives. The result of these factors was lower than desired CTR, with certain core keywords suffering from low quality score in AdWords. 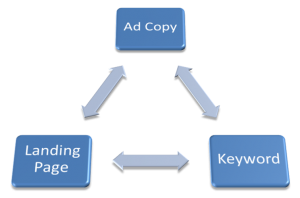 This had negative effect on the average ad position, exposure in search results page (impressions) and average CPC. The team set out to improve CTR in order to raise quality score. For that end, they had to take measures for tightening the search term / Ad copy / Landing Page – flow. New ad copies were created and then tested methodically. The SEO department analyzed the landing pages and recommended a set of measures to increase the pages’ “Googlebot merit”. Meticulous implementation of Seperia’s PPC methodology and sophisticated analytics ensured optimal results for core and expensive search terms: 5 fold the exposure, higher CTR, higher average position and, more clicks and lower average cost per click. Needless to say all these are just proxy to acquiring more actual trading clients, at lower cost of client acquisition.